Janet from Lead in South Dakota described me how she feel an energy from a moldavite. Janet works with moldavites about 2 years. October 7, 2015 in Spirituality & Healing. Fred from Pennsylvania described how moldavites help him. Moldavites are his primary therapy/healing crystals. September 22, 2015 in Spirituality & Healing. Keren from Tavistock in Canada describes me how she feels moldavite vibration and which effects have moldavites on her treated clients. July 22, 2015 in Spirituality & Healing. 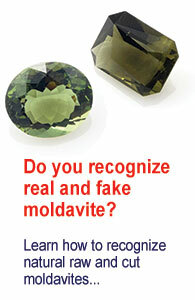 Deborah from Moulton in Alabama described the influence of a moldavite on her. July 6, 2015 in Spirituality & Healing.